Burn injuries are some of the most painful and devastating injuries sustained in motor vehicle accidents. According to the American Burn Association five percent of all burn injuries occur on a street or highway an in 2016 there were 310 deaths from fire and/or smoke inhalation from vehicle crash fires. Fire is only one of the many causes of burns in motor vehicle crashes. For instance, contact with hot engines and exhaust pipes is not uncommon in an accident. In addition to thermal burns, chemical and friction burns often occur in car and motorcycle accidents. Burns can be caused by the crash itself or due to defective vehicle. 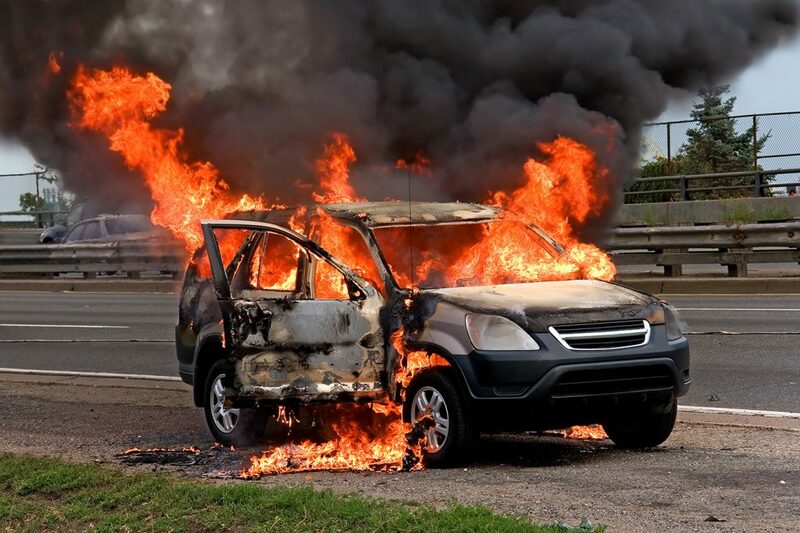 Some defective vehicle burns are crashworthiness burns meaning that liability may fall on both the negligent driver who caused your accident and the vehicle maker or seller or another down the supply chain. To learn more about your rights and compensation for burn injuries sustained in motor vehicle accidents, please, contact an experienced car crash attorney today.